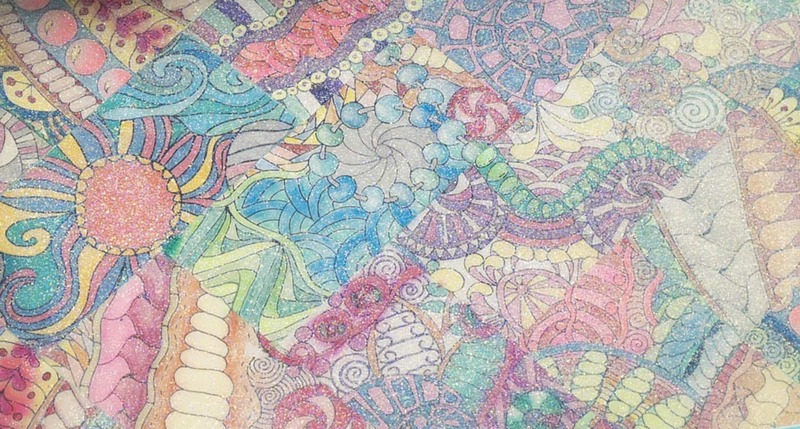 Do you have a bunch of adult coloring pages laying around and aren't sure what to do with them? Decorate a tray! 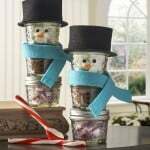 It's easy and makes a great gift idea. Are you into coloring? I've completely jumped on the coloring trend and have a ton of adult coloring posts over at DIY Candy (including instructional and recommendations for books and pencils!). My most recent project with coloring pages is a name plaque. 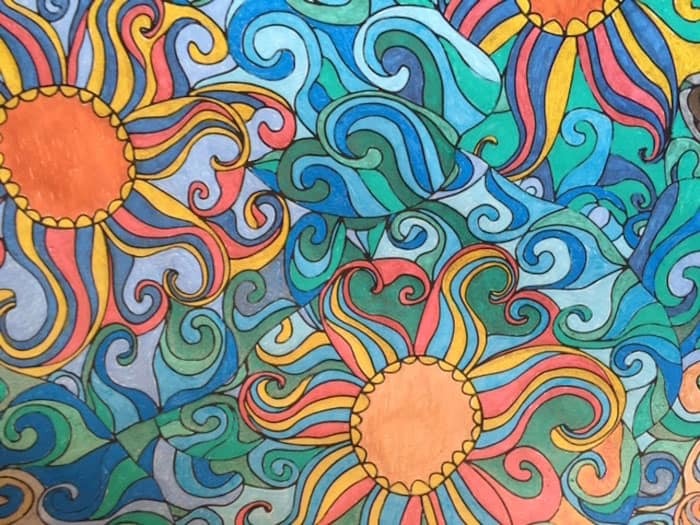 I've also shown you 10 ways to use adult coloring pages on this blog – and as you've probably gleaned, Mod Podge is a fabulous compliment to adult coloring. You can actually pull those pages out of the book when you're done and do something with them! 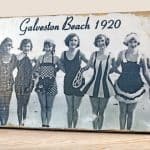 This month for my Michaels Makers challenge, we were tasked with making gifts that mom with love. Mother's Day is right around the corner, and there's nothing that mom loves better than something YOU made. The funny thing is that I was writing this post I realize something. When you're a child, you probably drew something for your mother and handed it to her, right? Well, this project is an extension of that, and just slightly more advanced – you're just doing it many years later! Color to your heart's desire! 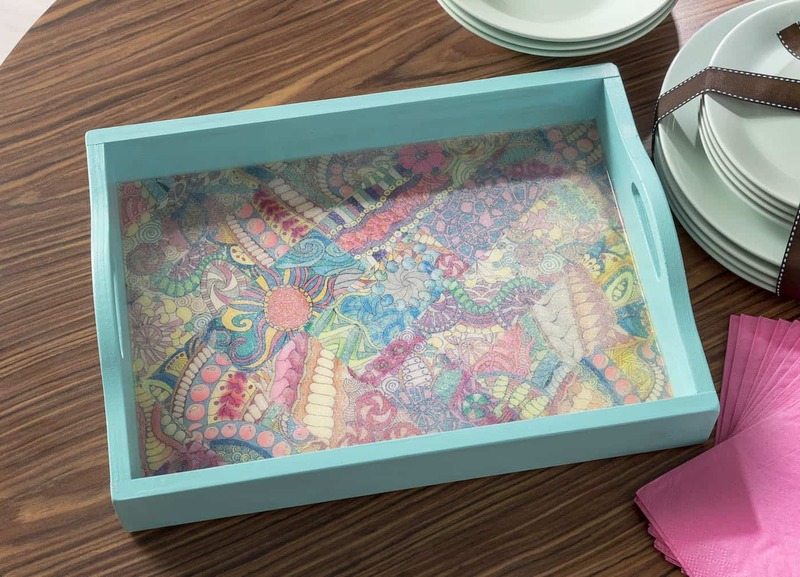 Make sure you have plenty of coloring pages to cover your tray, that you're going to want to cut up. Because you'll be doing some tiling of the pages. If you are wondering which kinds of markers/pencils you'll be able to use, this article will help. You'll be able to use most markers and pencils on your adult coloring pages and then Mod Podge them – the key will be allowing them to dry (let the pages at least dry overnight). Crayons will work just fine. 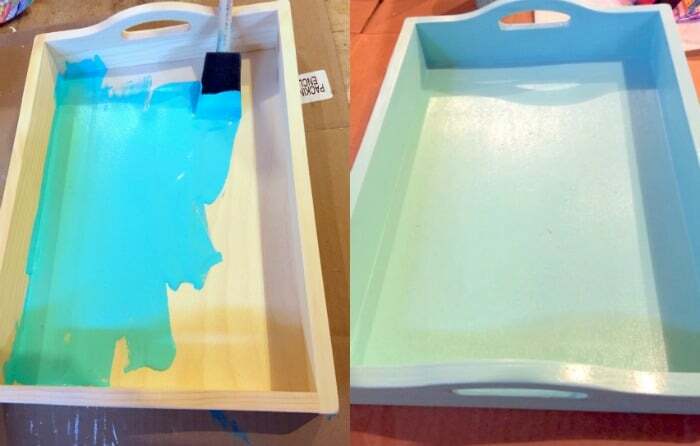 Paint your tray – completely basecoat using an acrylic paint color of your choice. Let dry for several hours. 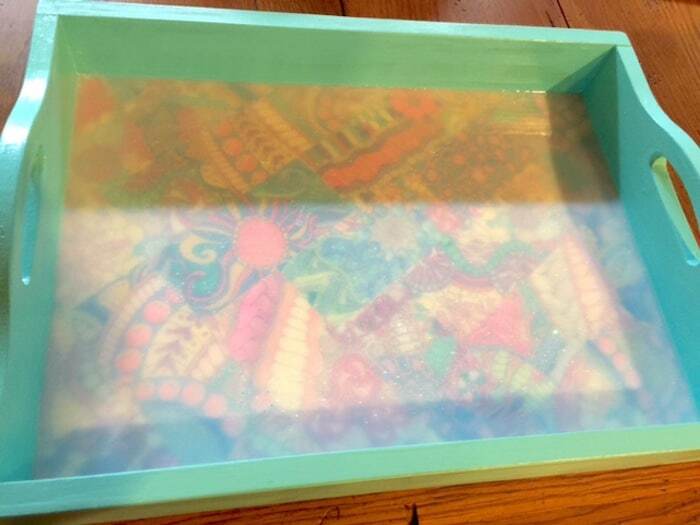 While your tray is drying, cut up your adult coloring pages into strips. 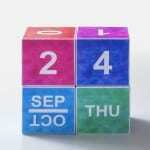 Our strips are 3″ x 3″ and 3″ x 6″ – use a variety of strips or any size of square you like. Begin the center of the tray. Add Mod Podge to the back of a coloring page piece, then place down on the tray and smooth (the Mod Podge brayer helps here tremendously). Continue with your pages, adding and making a pretty tile pattern. When you get to the edges, use your ruler and craft knife to help you score the edges and remove the excess. 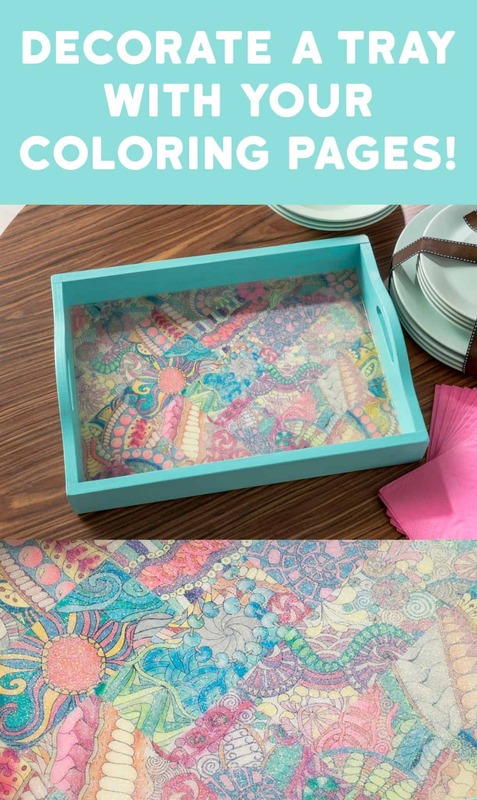 Continue until the entire tray is covered with coloring pages, then let dry for 15 – 20 minutes. 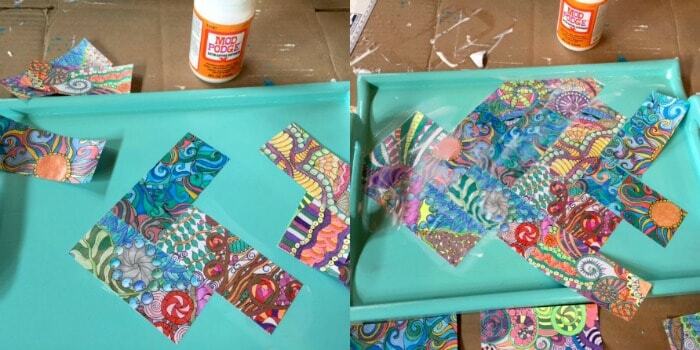 Put a top coat over the top of the coloring pages (you can coat the entire tray with Mod Podge if you like). Let dry for at least 24 hours! 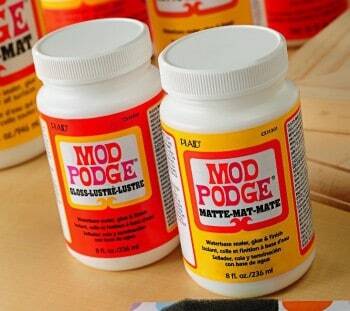 You want to make sure the Mod Podge is completely dry and there are no (even slightly) wet areas for the next step. Add the Dimensional Magic to the tray. This is why the Mod Podge underneath must be completely dry – if it's not, there will be cloudiness underneath the DM. Obviously you don't want that! Place seed beads into the Dimensional Magic if you like! 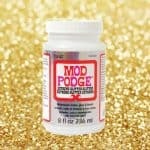 Another fun twist; use Mod Podge Dimensional Magic with glitter! I'll leave that up to you. Let your tray dry for 24 hours, and not under a fan – you don't want the DM to crack. You can see the adult coloring pages look amazing under the glitter. And if some of the inks bleed a little bit, well – it adds to the character. At least in my humble opinion! Are you ready to make a tray like this? Don't forget that Michaels has everything you need to craft the perfect handmade gift that will make Mom’s day. 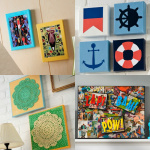 If you don’t know where to begin, you can always take a look at some of the fun projects on Michaels.com! Beautiful. Where did you get the tray. The trays I see are flimsy. Dee, the tray was from Michaels. They had two sizes – a larger and smaller. This the larger. It’s definitely solid and not flimsy! I love this! I too am a colorist and wonder what to do with my creations but live in the UK where there are no Michaels stores…not seen any quality blank trays like this to decorate unless you know of anwhere that ships overseas or has a branch over here?